As the 40-day period of fasting and penance (Lent) comes to an end, most Christian folks would be looking forward to the much-awaited Easter brunch. Since you took all the trouble to turn into a herbivore for this period, Easter comes as double celebration. Easter is incomplete without the elementary chocolate eggs. The egg is supposedly a symbol of ‘fertility,’ ‘rebirth’ and ‘beginning.’ While the oldest tradition included painting hard boiled eggs, the modern traditions include preparing chocolate or marzipan eggs and filling them with confectionaries. 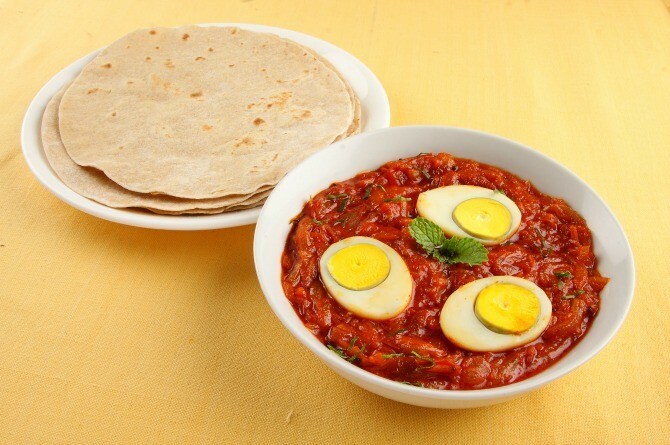 After 40-days of fasting you can indulge in all things non-vegetarian beginning with some delicious Kerala egg curry. This subtly spiced curry can be a perfect accompaniment to iddiyupum or appam, the famous Kerala breads. It’s a popular dish in God’s own country during Easter with many households preparing their version of this dish. Another popular recipe prepared in many Indian households during Easter is the spiced chicken. While it can be prepared without gravy, many Indians prefer to accompany this dish as a curry along with rice, biryani or chapatti. The grilled lamp chop is another addition to the Easter brunch, and especially looked forward to if you are a non-vegetarian abstaining yourself from it for the 40-days of Lent period. All you have to do is marinate your lamb chop with lemon juice, olive oil, oregano, curry powder, sea salt and black pepper. Here’s how you can make this dish. A Shepherd’s Pie is the perfect way of making your children eat some vegetables during Easter. You can prepare this with either chicken or lamp, whichever meat you are comfortable with and cook easily. All you have to be careful about is the pastry that is lined on top of the actual meat; and slow cooked in the oven.